This volume is a collection of short stories from Sri Lanka that brings together writing in all three Sri Lankan languages. It originated with my 'Anthology of Sri Lankan Short Stories in English', which included twenty four stories by a range of writers, expanding on a previous collection of writing by women that brought together twelve stories written originally in English by four women writers. Following the enthusiastic response to the recent volume, and the opportunity it offered to review developments in that field in the last few decades, it seemed desirable also to put together a collection that allowed readers to explore writing in Sinhala and Tamil as well, and examine varying responses to continuing social complexities. These complexities spring to a great extent from the compartmentalization that seems endemic in Sri Lanka. In such a context it is not surprising, thought very sad, that the present initiative is an unusual one. 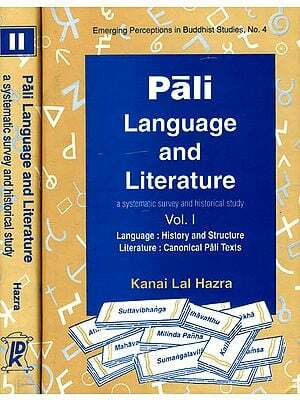 The first collection to bring together writing in at least two Sri Lankan languages, published in Arizona in 1981, left out writing in Tamil altogether. The editors sadly noted what they saw as a 'glaring omission', but explained that 'Tamil Literature in Sri Lanka is terra incognita for the Sinhala or English reader in the island. This is partly the result of shortsighted political and educational policies. It also reflects the present realities in Sri Lanka where the two communities exist in ever-growing isolation'. In the early nineties there was at last a compendium that brought together writing in all three languages, prose as well as poetry, but given 'the limitations of translations', as indicated by the editor, it contained nothing written in Sinhala or Tamil after 1981. Indeed, even in English there was no prose after 1983, which was a particularly significant year. The ethnic violence of July 1983 set the seal on the compartmentalization I referred to, in a manner that seems still to defy peaceful resolution. It is no accident therefore that a high proportion of the stories included here deal with political violence. I should however note that I too am ill equipped to select suitable stories except in my own field of expertise. For the present volume then I received invaluable assistance from two distinguished critics who are also translators, Vijita Fernando and K S Sivakumaran. They provided a selection of stories which seemed to them to represent the best contemporary writing in Sinhalese and Tamil respectively. Though the final choice of stories was my own, as was the final version of the stories selected, I was indebted throughout to their advice and assistance. This was also supplemented by advice from Prof Chelva Kanaganayakam who continues, though now in Toronto, to promote Sri Lankan writing. In making the final selection, I have tried to ensure that a range of subjects and styles are represented. As mentioned however, a large number of stories deal, I think necessarily, with the ethnic and political violence that has plagued Sri Lanka over the last quarter century. In choosing stories that deal with this subject however, I looked also to cover other social aspects, while seeking too for a range of characterization. I have also tried to highlight the sensitive manner in which writers have tried to empathize across what some might call the ethnic divide. The stories by Sunethra Rajakarunanayake and S Yoganathan and Maureen Seneviratne suggest why, despite the increasing violence of the last years, we might still hope that a nation with a national identity could be constructed. The volume commences with a story by Martin Wickramasinghe, who is generally acknowledged as the father of modern Sinhala fiction. When he started writing, Sinhala prose  which had scarcely existed as an art form for four centuries during the colonial period  was heavily influenced by light Victorian romances. Wickramasinghe's early work, for instance his adaptation of Rafael Sabatini's Scaramouche, used in schools in the early years after independence, was of this nature. But from the start he was concerned with the internal psyche of his characters and their responses to external social pressures. Benefiting from his wide reading in a range of European writing, he soon developed a distinctive voice that, rooted in Sri Lankan culture, still provides illuminating analyses of a society in a state of flux. The story presented here was written in the forties, when Sri Lanka achieved an independence which he challenges in a satirical tone that is unusual and yet exemplifies his principal concerns. The fifties saw the emergence of a new group of writers, characterized sometimes as the Peradeniya School after the university which initiated a resurgence of Sinhala culture. The doyen of this movement was Ediriweera Sarachchandra, whose innovations in theatre seemed to herald creative confidence in a country-or rather a race, namely the Sinhalese, who had begun to think of Sri Lanka as their own  that had moved into a distinctively nationalistic mood a decade after independence. His themes however tend to be personal, and this distinctively characterizes his fiction. Interestingly, towards the end of his career, Sarachchandra translated his own work into English, and then wrote an original English language novel, With the Begging Bowl, based on his experiences as Sri Lankan ambassador in France. Gunadasa Amerasekera, the other distinguished writer of the fifties who has continued to exercise literary and social influence, seemed initially more dependent on Western models, in his evocation for initially more dependent on Western models, in his evocation for instance of D H. Lawrence, a radical figure for the colonial conventionality of the Sri Lankan education system in the period just after independence. However, as the story included here shows, Amerasekera was always keenly aware of conflicts between social and cultural influences, and his transformation in the last few decades into a champion of a nationalistic if always erudite outlook can be traced to some of his early concerns. Meanwhile, leaving aside these exemplars of a society in transition, there were other writers also developing representative voices. K. Jayatilaka's wry study of a different sort of transition exemplifies the work of a writer who has continued to attract readers over half a century, while Sarath Wijesuriya's much more recent Akka deals with a theme that was common during this period, and over the world in fact, the theme of sexual awakening amidst social restrictions. Sita Kululatunga, in a pendant to Martin Wickramasinghe's story, deals with similar social contrasts in the context of the ever more overpowering rat race of today. Two stories in this section deal with the violence that has now become a regular feature of Sri Lankan life. Karuna Perera, who began writing in the seventies to with the suburban dwellers who had not been prominent previously in literature, highlights here the terror they too underwent in the eighties when the southern insurgency led to corresponding violence on the part of the state. Sunethra Rajakarunanayake, a younger writer, deals with the better known violence of the ethnic conflict, with a sensitivity that suggests the possibilities of reconciliation that, alas, seem beyond politicians on either side. Interestingly, Tamil writing in the early years of independence did not develop quite so quickly in the direction of social commentary. It ws only after the beginnings of ethnic tension and indeed violence towards the end of the fifties that we see topics such as that illustrated by T S Varatharasan, though again he is as interested in the personal response to the trauma as in its socio-political dimension. Saddanathan's story, written twenty years later, was more typical perhaps of general concerns at the time, in dealing with internal social disparities. A more worrying aspect of this was the problem of caste, which is explored in Alagu Subramaniam's entertaining but thought-provoking story, Professional Mourners, which was written in English. Also originally written in English were C V Velupillai's account of the Indian Tamil community. The story here is exceptionally moving, in a collection that evokes the lives of a long suffering group, in drawing attention to the callous manner in which citizenship was denied to people who had long seen themselves as part of this country. Conversely, the other story about this community, Ramaiya's Among the Hills, highlights the situation of its women, even sadder victims of the orthodox hierarchies that govern such societies. Three stories written originally in Tamil deal with different aspects of the ethnic conflict which has caused such suffering to all Sri Lankans, but particularly to those in the north. S. Yoganathan deals with a common situation for citizens of different communities who had worked together, while Thamarai Chelvi captures the uncertainty and the pathos of day to day life in the peninsula. Santhan, conversely, with the evocative understatement that characterizes his work in both English and Tamil, deals with what seems a common situation, heightened by its occurring at the time when the Indian army was maintaining a dreaded presence in the north of Sri Lanka. Finally I have included a story that captures some of the philosophical concerns of writers in Tamil. Though religious inspiration is less common than in the days of classical Tamil writing, it can still provide a foundation for the exploration of human qualities. In the English section, it is understandable that there is nothing from the first quarter century after independence, since writing in English tended to be downplayed in those days, with even English Department academics asserting the nationalistic view that writing in Sinhala or Tamil was preferable. Fortunately two writers of considerable talent, James Goonewardene and Punyakante Wijenaike, refused to be cowed by often perverse criticism, and continued to write illuminatingly of the social changes that were often spearheaded by the English speaking. My own view is that writing in English came to maturity with the publication in 1976 of James Goonewardene's collection of stories The Awakening of Dr. Kirthi, from which the story here is taken. Having previously written about rural idylls, Goonewardene saw the dangerous turn society was taking, and in both the title story and the more allegorical story published here, he provided incisive analysis of the destruction we were bringing on ourselves. Sadly he did not receive the critical attention he deserved, and the nation hurtled to the violence and trauma of the eighties. Three of the stories here deals with that period, in different modes including the allegorical. Gamini Akmeemana's The Drummer chillingly evokes the atmosphere of the late eighties when death approached from several directions, Maureen Seneviratne deals with a concrete tragedy in Jaffna, while Nirmali Hettiarachchi looks at victims of the southern terror. Two other stories deal with particular victims of social restrictions, Ameena Hussein with the plight of Muslim widows and Vijita Fernando with the migrant workers who contribute so much to society but are generally treated with disdain and suspicion. Finally, in perhaps only a token attempt to counterbalance the gloomy picture painted by so many writers, I have included a lighter story of my own that deals with some aspects of foreign influence in recent times, while concluding the volume with a charming story by Punyakante Wijenaike which exemplifies her capacity to empathize with all elements in society. I am grateful to Nalaka Koswatte of Sabaragamuwa University for typing some of the stories, and to colleagues there for their suggestions. I must in particular thank Vijita Fernando and K S Sivakumaran, who provided me with so many excellent translations, not all of which were used, and who responded readily to my requests for stories on particular themes. I am grateful also to Chelva Kanaganayakam for assistance and advice, and to all the writers who readily granted permission for their stories to be included. I was unable to trace a couple, and must apologize to them, as to relations I failed to consult or obtain permission from, with regard to the work of writers now deceased. Above all I should thank Aiyathurai Santhan, who was a ready source of information about writers in Jaffna, despite the difficulties they face with regard to communication in the current situation. The trouble he took, and the ready responses of those with whom he put me in touch, are the best support for the positive view of ethnic relations in this country which I hope this book embodies and encourages. This short collection brings to you twenty five engaging stories from Sri Lanka's best known story-tellers. The country's simmering ethnic and political violence provides the backdrop to many of these narratives. Told with innate sensitivity to the turbulence and social complexities of their times, these stories bridge connections for a young nation torn by decades of strife. Drawn from Sinhala, Tamil and English this anthology is a compelling read that brings out the distinctive flavour and rich diversity of Sri Lankan prose. Rajiva Wijesinha, until recently Senior Professor of Languages at Sabaragamuwa University in Sri Lanka, is currently Secretary-General of the Sri Lankan Government's Secretariat for Coordinating the Peace Process (SCOPP). He read Classics and received his doctorate from the Oxford University. Wijesinha has been actively involved in promoting creative writing in Sri Lanka. His writings include works of fiction, political history and philosophy. Recent publications include The Limits of Love (the last work of a trilogy of novels on conflict in Sri Lanka), Foundations of Modern Society, Political Principles and their Practice in Sri Lanka and Declining Sri Lanka, which covers the recent political history of the country. He has edited A Selection of Modern Sri Lankan Poetry in English and A Selection of Modern Sri Lankan Short Stories in English as well as co-edited Across Cultures: Issues of Identity in Contemporary British and Sri Lankan Writing and Conflict: Causes and Consequences.